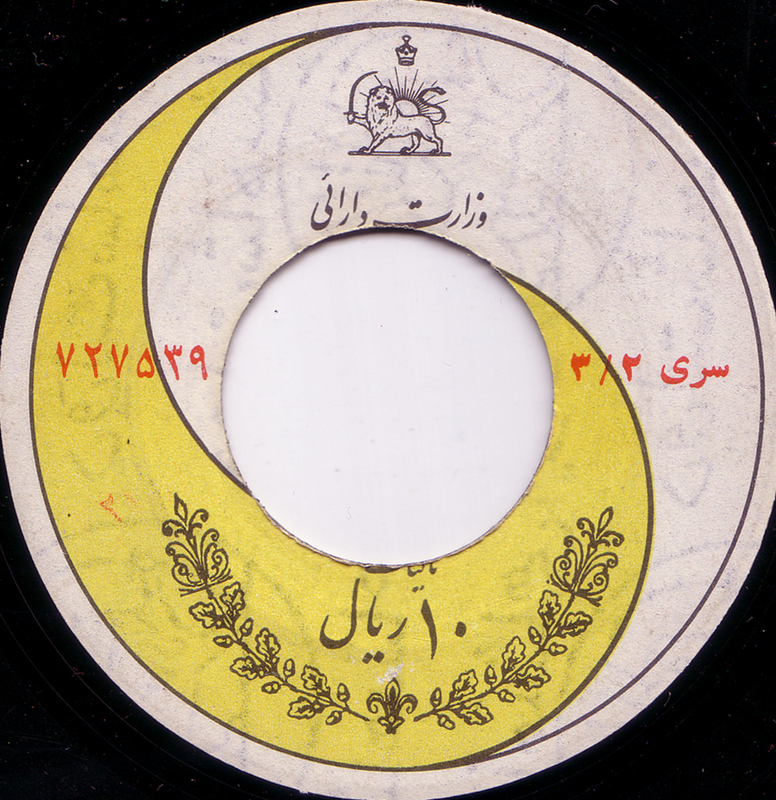 The Persiandiscography site was very useful to find at least some information about all of these lost Iranian record labels, of which Ahang-E-Rooz was the most important one. This record has the same usual white and yellow front but a black b-side. Delakam is a mid-tempo song with a funky wah-wah guitar and the great voice of Ramesh. Tschi mishe is a sad, slow Pop song. I hope this finds you well. 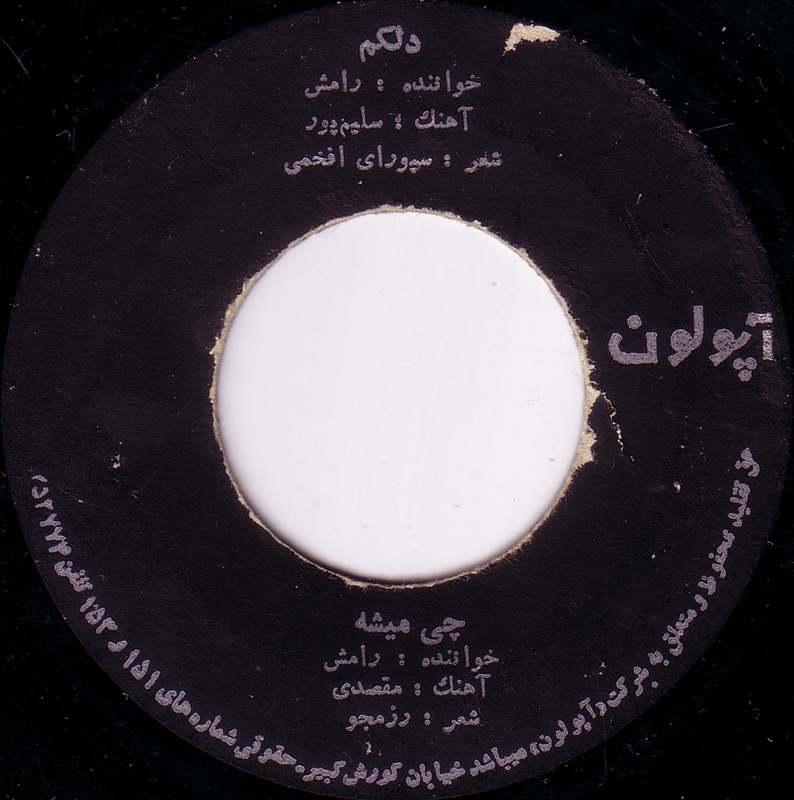 Please send a list of Iranian vinyls with sleeves, if you would sell.